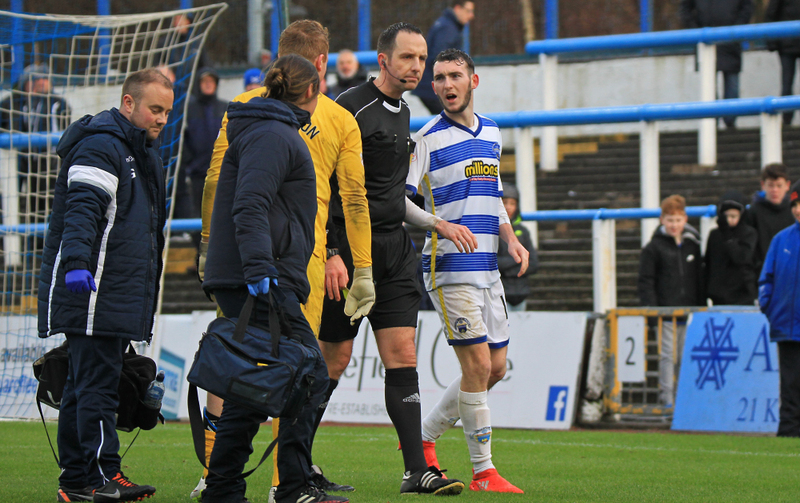 They`ll be no festive cheers for Queens as their league woes continued after a narrow 1-0 defeat at Greenock. Thomas O`Ware nodded the hosts ahead early doors and despite a few chances to equalise, the Doonhamers extend their winless league run to 12 matches. Gary Naysmith was still searching for his first victory as Doonhamers boss and was hoping for an early Christmas present. He selected the same starting eleven from last week`s 2-2 draw against Dunfermline. Jim Duffy`s men edged the early possession but couldn`t break down the Queens defence and create any meaningful chances. The Doonhamers had the chance after a superb through ball from Derek Lyle was controlled by Stephen Dobbie on the edge of the box, he cut in on his right foot but it was at an awkward angle and goalkeeper Andrew McNeil made a routine save. The Ton got themselves in a dangerous position after Chris Higgins fouled McDonagh 20 yards out. 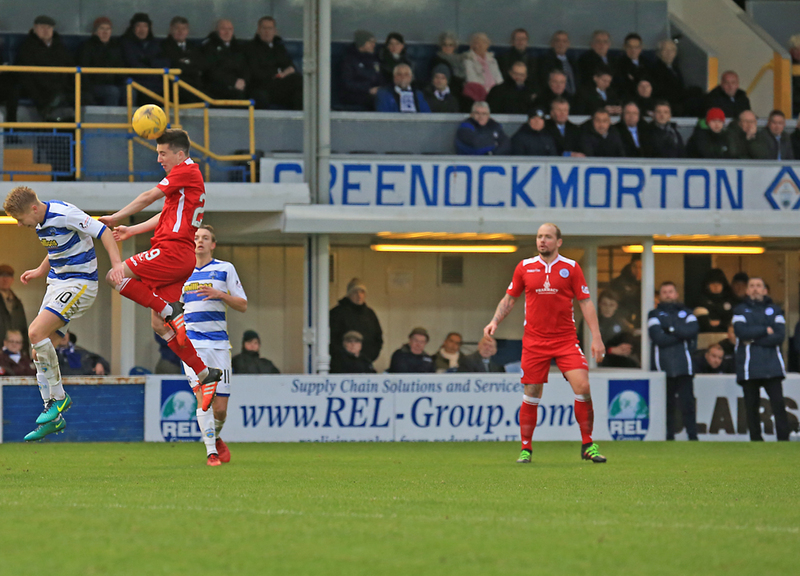 Influential midfielder Ross Forbes, who picked a part Queens in Morton`s 5-0 drubbing at Palmerston, stepped up and tried the extraordinary but his set-piece sailed high and wide. It was a sign of things to come as the hosts poured forward as did the rain. Forbes was fed by Jamie Lindsay and his first time cross looked destined for McDonagh but was cleared by Andrew Dowie. It was that man Forbes who was causing Queens problems with his set-pieces and on this occasion the Queens defence were unlocked. Forbes crossed a lovely free-kick to the back post and captain Thomas O`Ware was on hand to head low into the bottom corner of the net. 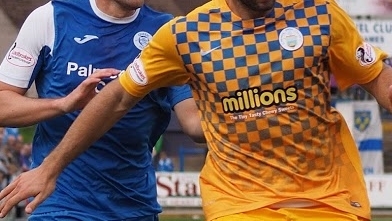 Queens could`ve grabbed an equaliser on the half hour mark after delightful play from Derek Lyle, Mark Millar and Stephen Dobbie, with Dobbie`s shot from eight-yards out blocked by goalscorer O`Ware. Five minutes later, the tide looked to be turning and when Derek Lyle outmuscled Gavin Gunning and Dobbie smacked the ball into the back of the net but referee Barry Cook, judged Lyle to have fouled the defender and disallowed Dobbie`s goal. 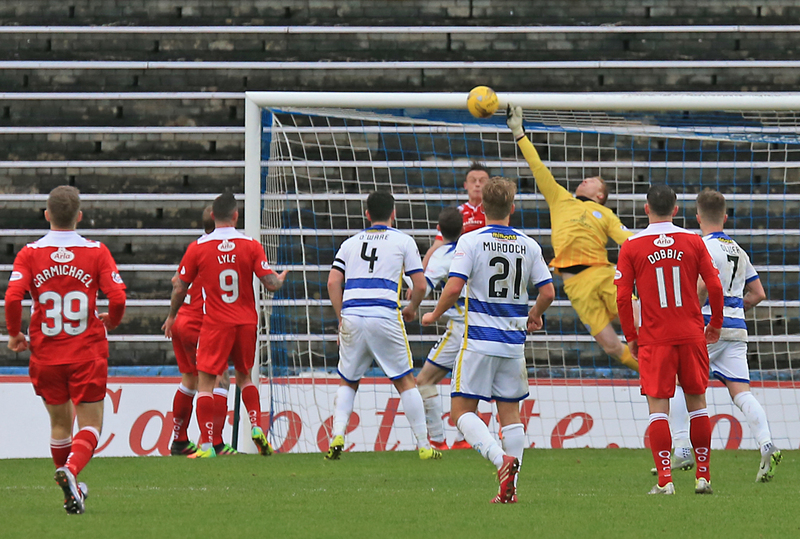 The first booking of the game went to Morton`s McDonagh after going in late on Queens goalkeeper Lee Robinson. Both players received medical treatment and Queens substitute `keeper Jim Atkinson was warming up, incase Robinson couldn`t continue. The Queens stopper had to be on his toes when ex-Doonhamer Gary Oliver created space with a couple of stepovers before cutting right but his shot glanced wide of the right-hand post on 41 minutes. It was round two between McDonagh and Robinson and the `keeper came out on top when he made a fantastic save to deny the winger from six yards out. Naysmith`s men had the first chance of the second period when Jamie Hamill`s long range shot flew well over McNeil`s bar. The visitors created a glorious opportunity to level five minutes after the restart when Lyle intelligently played in Dobbie but his powerful shot from the edge of the box, hit the side netting. At the other end, O`Ware could have doubled his tally for the afternoon but volley from five-yards went wide. 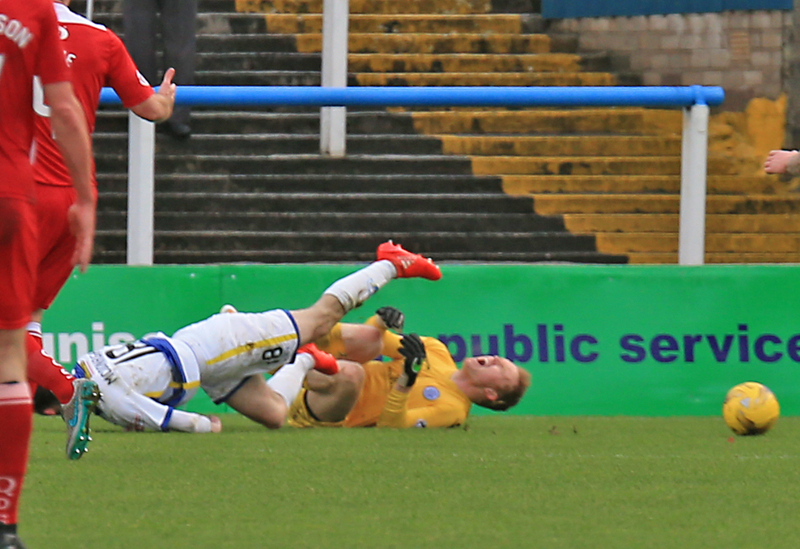 Lee Robinson was called into action when Forbes dangerous dipping effort was superbly tipped over the bar. Naysmith made two changes on 63 minutes Daniel Carmichael and youngster Owen Bell replaced Chris Higgins and Grant Anderson. The hosts had a great chance to extend their lead when Doyle`s cross from the right-wing found Oliver but his header didn`t trouble Robinson. 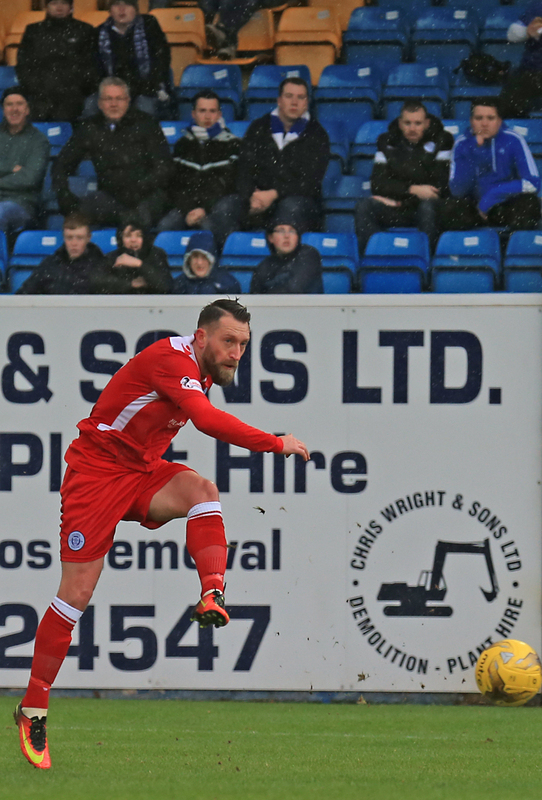 Queens played decent in patches and when Jordan Marshall was fouled 20-yards from goal, Stephen Dobbie stepped up but he misfired and went inches wide of the target and into the terracing. The Doonhamers kept piling on the pressure and were inches away from the leveller when Dobbie`s cross from the right found Carmichael but he had no control with the shot and went wide. Naysmith`s last throw of the dice was to bring on youngster Ross Fergusson for Mark Millar. Dobbie who was moved to the left wing was fouled by Jamie Lindsay a few yards out of the penalty area. Queens caught Ton`s defence out with a quick free-kick to Fergusson but his shot was stopped by McNeil`s legs. 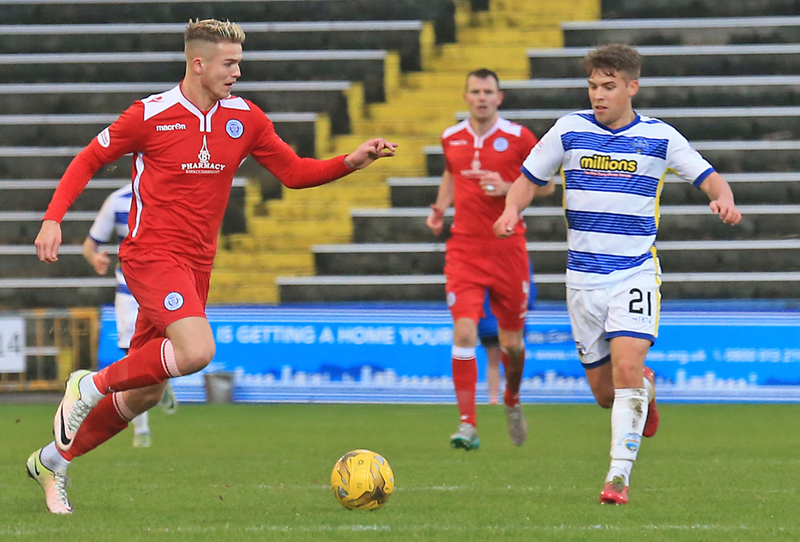 Queens had late possession but just couldn`t find a way past the Morton defence. No early Christmas present for Queens as winless run extended to 12. 13:00 The players are out and we are only moments from kick-off. 3 min Nesbit`s cross is hit out by Higgins for a corner. The set-piece is swung in and Hamill clears. 12 min A through ball falls to Dobbie on the edge of the box but his shot is straight at the keeper. 13 min Forbes free-kick from long range sails wide. 18 min A set-piece from the right is headed home by O`Ware to give the hosts the lead. 22 min Lyle wins Queens a corner, after a bit of pinball in the box is collected by McNeil. 29 min Doyle moves forward with the ball into the box but his shot is easily gathered by Robinson. 32 min Dobbie puts the ball in the net but the assistants flag is up so still 1-0 here. 35 min McDonagh booked for a challenge on Robinson. 39 min Oliver`s shot from the left glances wide of the post. Half Time Hamill`s long range effort goes well wide. Half Time Dobbie`s strike from the edge of the box hits the side netting. Half Time Forbes` sublime effort is tipped over the bar by Robinson. Half Time Hamill`s long range shot is parried by McNeil. 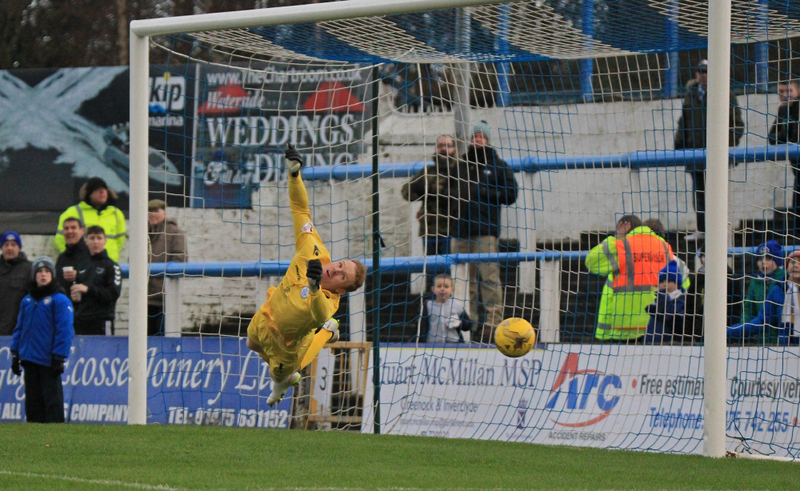 Half Time Robinson makes two superb saves to deny Morton their second. Still 1-0 here. Half Time Dobbie`s free-kick can`t find the target. Half Time Dobbie receives the ball squares to Carmichael but can`t find the target. Half Time Carmichaels cross is headed out for a corner. 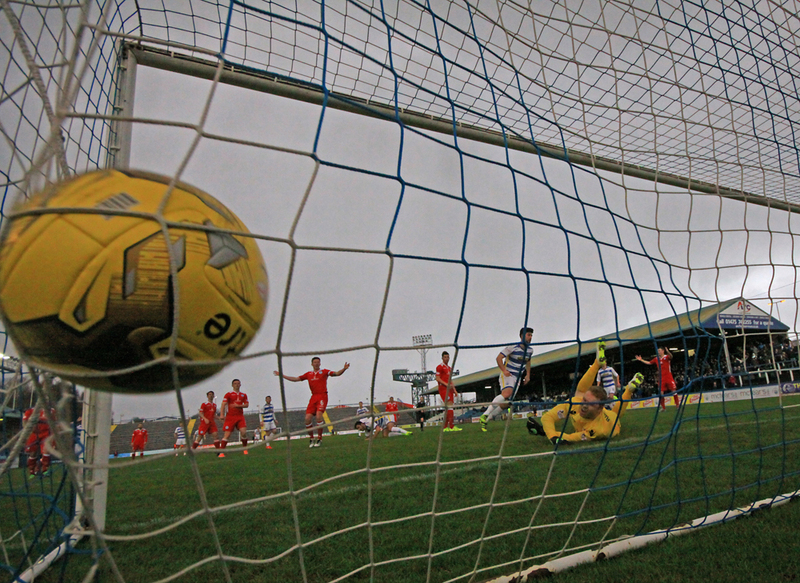 Half Time Brownlie`s header is caught by McNeil. Half Time Dobbie is fouled, Queens play a quick free-kick to Fergusson but his shot is saved by McNeil.